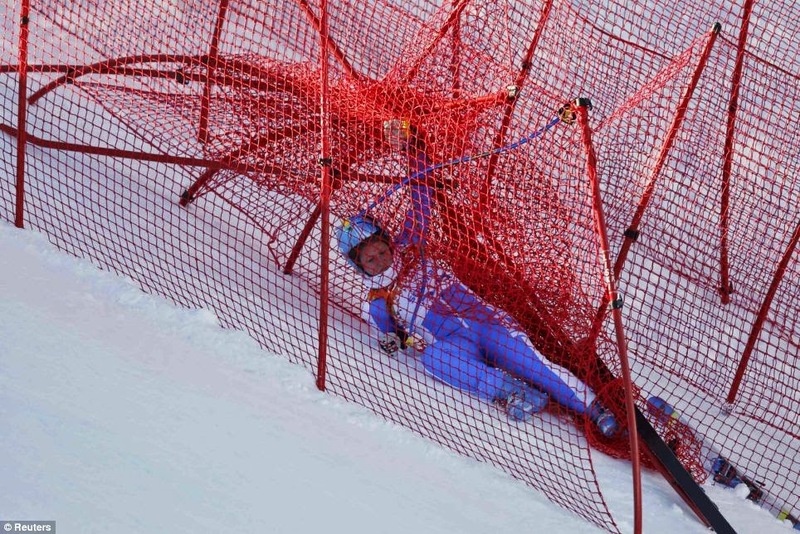 One of the great and longstanding traditions of ski racing is putting together and taking apart B net. The poorly executed rolls on headwall at Sugarloaf, the kids walking up from the finish area to avoid taking another run, the KMS kids taking their boots off in the lodge early to avoid doing anything at all, while muttering about how they have frostbite on a 36 degree day. And then of course you have your A net -- those permanent sheets preventing you from falling off the side of the mountain that almost look like sails on a windy day. You know these because Bode Miller skis on them from time to time. 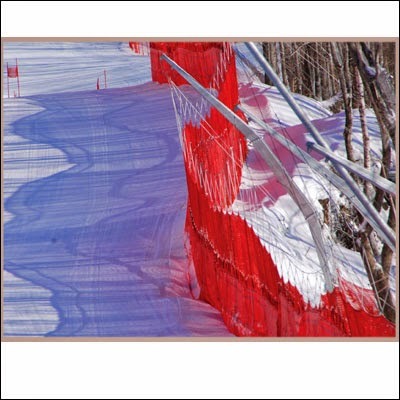 Either way you slice it, these nets have kept many a bad crash from getting worse, and are a huge part of making ski racing as safe as can be. However, they are now out of date, washed up, yesterday's news. Ladies and gentlemen, I bring you... the C net. No one knows for sure whether the C stands for "cornice", or possibly "compound fracture", or maybe even "crippling concussion", but everyone can tell it's effective. I bring you Alessandra Vidori, testing out what this technology can do. Are you impressed? Are you sold? Are you impressed she's alive and emailed that to me herself? I am. I sure am. C net, coming to a mountain near you. Crashes to theamericanmob@gmail.com. Slalom Ace out. by the way, C-nets already exist, it's what they do finish and start area with. The greatest misstep most understudies make http://www.top250filmsdvd.com/2017/understanding-about-research-paper-writing-service.html while getting ready is their examination condition. Well, I always think that I want it,http://gradygrossmanschool.org/ but I always fail to do the things that I decided to do. As prior commented, education is a procedure,KENYA and each procedure is inadequate without an item. It may be the important reason for this prime importance given at the school level. There are so many modules designed with the help of agencies like NCERT and others ingilizce ceviri for effectively imparting the value education to the school students. Thanks for taking the time to discuss this, I feel strongly about it and love learning more on this topic. If possible, as you gain expertise, list of public schools in east delhi would you mind updating your blog with extra information? It is extremely helpful for me.